This is one of my prize recipes! I worked hard to make the healthiest cinnamon rolls possible (so I can eat more of them) but they had to be soft and gooey and delicious. This is it. I tried using some whole wheat flour but they never turned out soft enough so it’s all-purpose flour but the good news is the entire recipe uses only two tablespoons of butter. Two. And now I have even better news: I usually make them with no butter at all. There’s so much flavor in the cinnamon and brown sugar filling that I use a trans-fat free margarine (Canola Harvest) and I defy anyone to tell the difference between that and the one with butter. Make it either way. If you are concerned about cholesterol I promise that you will love these delicious buns without butter. If you use butter, it’s only 2 tablespoons so each roll has as little butter as a slice of toast. Two tablespoons divided by eight rolls equals 3/4 of a teaspoon of butter in each cinnamon roll. Now let’s talk about frosting. You can frost them in the baking pan but I like to transfer them first to a plate or pie pan before frosting so the sides also get some of that gooey frosting. Here’s how: After the 10-minute cooling period place a dinner plate on top and flip them over onto the plate. Then take another plate or pie pan and flip them back again and they will be right side up and still warm and ready to frost… all sides! 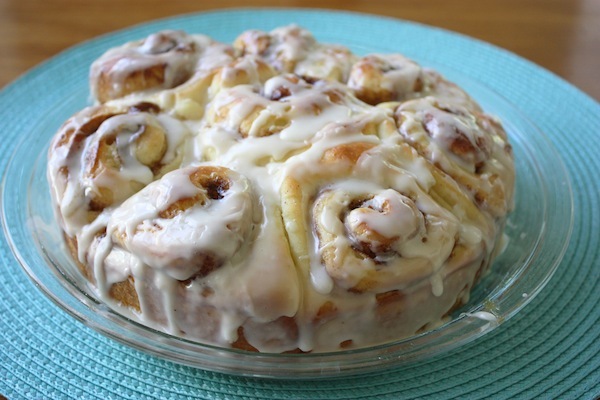 29 Comments on "Homemade Cinnamon Rolls"
I can’t wait to try this recipe. I made the chocolate cake and I’m making the no-knead bread in the dutch oven next. Just discovered your website and I have shared it with my friends because you don’t load everything with butter and lots of fattening things. My only problem is that this has been a very cold January here where I live and we have been inside so much that I have taken to baking and eating….but thanks for the great recipes, so much appreciated. Jenny, thank you. Your cinnamon rolls looks delicious. 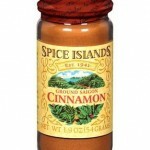 I have a question, would it affect the cinnamon rolls if I add rasins? What if you don’t have mixer? If you Do it by hand, how long would you have to mix? You will just have to knead it longer, until the dough is smooth and elastic, maybe another 100 turns. For the icing, do you use 1% milk also? Yes, but you can use any kind of milk, even cream. Thank you Jenny, I make at least 6 of these a weekfor friends and relatives . When someone gets sick or has a BOOBOO, I make them this. You will not believe how many people get sick in my small community. I make this as a braided bread as well and have found that it is sorta loose and wants to spread , so I use a 5″ x 2 1/2″ x 12″ hot table pan and it works like magic. Sorry for babaling but THANK YOU SO MUCH. I love this recipe as do my grandkids and kids. I have never had so many complements. Can these buns be frozen and then thawed? I have frozen left over buns and they seem fine. We are having a large crowd for breakfast and it would be hard to get these done fresh in time. Costco is good. But nothing will ever compare to homemade. You know what the ingredients are for one thing. Thanks Jenny, nice and simple. I will be making these again for my quilting class. They love the nice and warm gooey cinnamon. 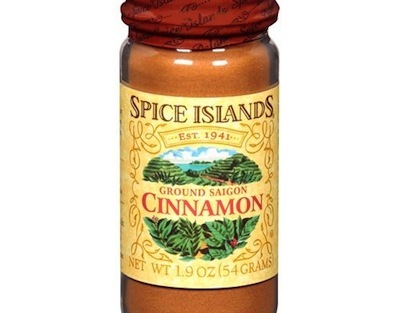 We love Saigon Cinnamon ! If you have a Costco, we found a 10.7 oz for $2.65. Same great flavor much cheaper . P.S. We use it in our morning coffee. Yum IT is the only one that doesn’t clog the filter. you make them great Take Care Johanne Louise from Laval Montreal. Quebec Canada. Holy Moly! I made your rolls yesterday and my darling husband said they were the best I’ve ever done! I found your site because of the recipe for Angel Wings. My husband is Polish. We are both super excited to try your Polish recipes soon!! Thank you for posting the recipes and for the videos as well. It helps to have the visuals as I try new things. I will be making the rolls to take to work for everyone on Christmas Eve. I’ve also tried the paper bag popcorn and it has turned out perfect every time! Can these be turned into cinna mini buns?? I can’t tell you in this small space…how glad I am that I found you…..I went out and bought me a Kitchen aid today….my cinnamon rolls are rising as we speak….thank you so much. Now that I have found you, I will be looking for more of your tasty morsels. Can I use a 9 by 13 for the cinnamon rolls. Not unless you increase the recipe. These were great , love how simple to make…. Can raisins be added to this wonderful sounding recipe? Thank you Glamour Puss. I’ve baked these cinnamon rolls on four separate occasions–and they’ve turned out perfect every time. Thanks for this super simple recipe. I used to be so intimidated by anything calling for yeast in the recipe, but not anymore. I’ve also made your quick pizza dough as well as your no knead bread dough–both are keepers. So happy I found your site! I’m the worst cook in the world—BUT I love cinnamon rolls and have been trying and trying to practice to make ones that are edible. One of my main problems is getting the things to rise—-this recipe, heavens, you dump the yeast in with those other ingred. and move on with the rest of the recipe. I’m really anxious to try doing these myself—if it works for me—-you Jenny are a genious teacher!!!! Another awesome recipe!!! Holy Crap do those look great!!! We will try these too!! Thanks JJ!! Your recipes are incredible!! Btw, love your new photo!! You look great as usual!!! xoxo Sue, Mike, Kya and Lobo.